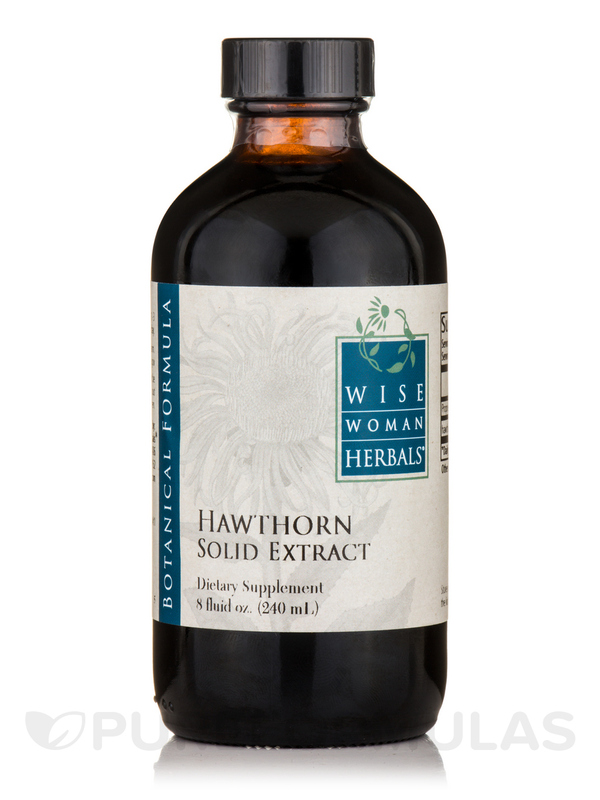 Hawthorne Solid Extract by Wise Woman Herbals was recommended by my naturopath and I've been happy with using it. Love how Hawthorne Solid Extract by Wise Women Herbals seems to balance out any heart rhythm issues that I have going on at times. I am using Hawthorne Solid Extract by Wise Women Herbals for my blood pressure and there is a noticeable improvement in the numbers. Searching for a way to provide your body with the helpful hand it may be asking for? Perhaps you should try seeing what a dietary supplement can do for you. 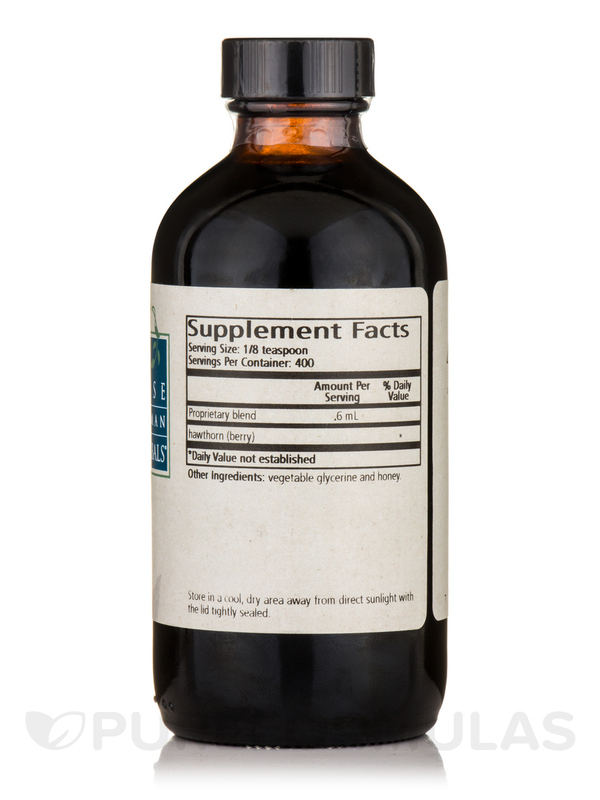 This serving of Hawthorne Solid Extract provides 8 ounces (225 grams)of power to help your body functions be at the place you'd like them to be at. Hawthorn is a plant that uses its leaves‚ flowers‚ and berries for the purpose of health and as a medicinal herb. Some use hawthorn as a way to support already normal blood pressure rates stay at a balanced level. You may be able to help promote supported cardiac function through this extract‚ which comes in a base of both honey and vegetable glycerine which has been certified kosher. This 8 ounce jar has a dosage of 1/8 of a teaspoon‚ taken 1 to 3 times a a day‚ or as recommended by your healthcare professional. Let PureFormulas be your source for Hawthorne Solid Extract by Wise Women Herbals. We offer low prices‚ as well as fast delivery straight to you and free shipping on all orders. Other Ingredients: Vegetable glycerine and honey. Take 1/8 teaspoon‚ 1-3 times a day. This product contains honey and should not be consumed by children under 1 year of age. Taste is kind of hard to take, but nothing you can do about that and it works so I just keep taking. As I have not been on Hawthorne Solid Extract by Wise Women Herbals long enough (High BP and Major heart disease, hoping I will see improvement in time and can go off BP meds. Too soon, except taste is good. 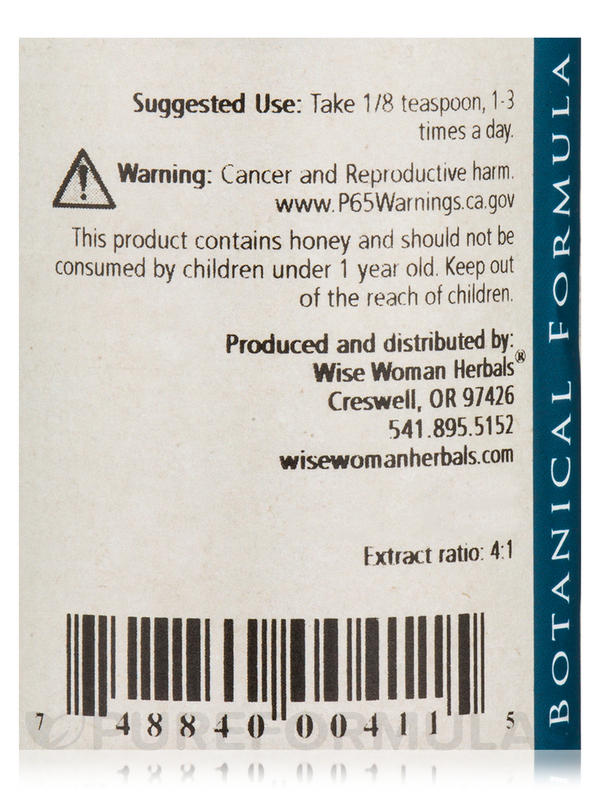 I have some broken capillaries and a vein that is needing to come down in size,Hawthorne Solid Extract by Wise Woman Herbals is helping to strengthen the vein. A medical doctor recommended this product to me. My Naturopath recommended this.Only need a small amount and it really worked on the anxiety in my chest. Tastes pretty good also. I'll keep using Hawthorne Solid Extract from Wise Women Herbals. It worked on my mild chest pain. Very satisfied with service, quality and price. My husband had a heart attack in 2013 (second one) and the western meds he was given affected him negatively. 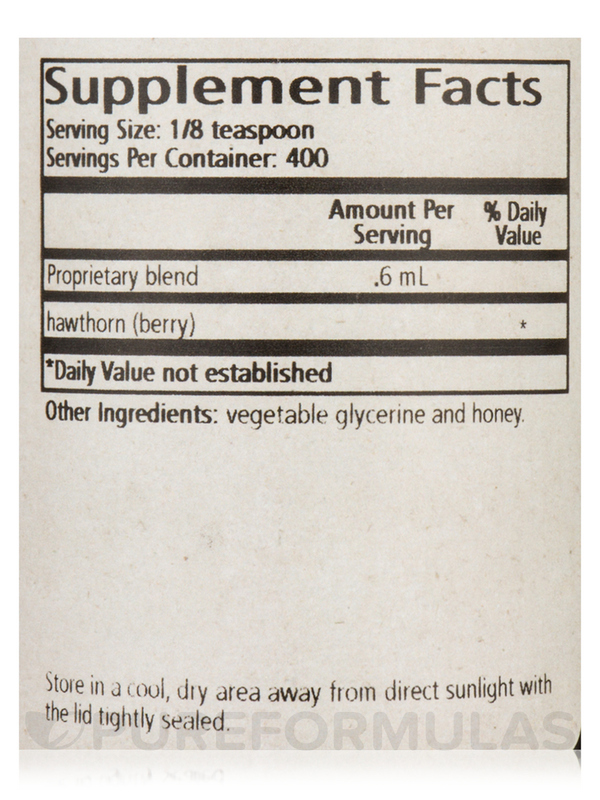 So, we researched the herbal potential and specifically, the impact of Hawthorne Solid Extract by Wise Woman Herbals. Success! His BP averages 113/70 and he is not taking the western med! Reducing BP without damaging the vessels or musculature. What is not to like! Natural non pharm! This specific brand of Hawthorne Solid Extract by Wise Women Herbals was recommended to me by my herbalist to strengthen my heart. I actually look forward to taking it twice per day - has a molasses-like consistency and tastes great! Ive been taking Hawthorne Solid Extract by Wise Women Herbals for almost ten years after taking regular blood pressure medicine that was prescribed by my internist. I didnt want to continue the regular blood pressure meds and consulted my naturopath for an alternative. I would recommend anyone giving it a try. It worked to get to normal levels and Im not on a maintenance plan. My blood pressure was a bit high so my homeopathic doctor recommended Hawthorne Solid Exract by Wise Women Herbals saying I would love the taste. I do and since I have eliminated sugar from my diet it is one of my few sweet treats. It is like molasses in consistency and tastes like sweet tea. I love it. My blood pressure is slowly returning to normal.